Have small pieces of fabric? Why not make this little bunny. It was designed to use up scrap fabric from some of the clothing projects I’ve recently made. You can click on the picture or this link to be taken to the Fallow Slow Goods blog where you can view and save the pdf pattern which can be printed on a regular sheet of paper. 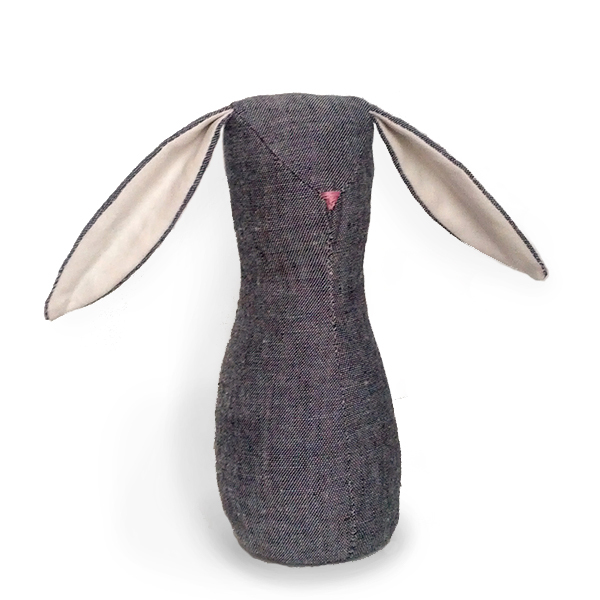 This little bunny looks great made out of all kinds of material – especially printed pieces! The finished project is about 5in tall, but you can also scale up or down the pattern on your computer if you want to make it in different sizes.